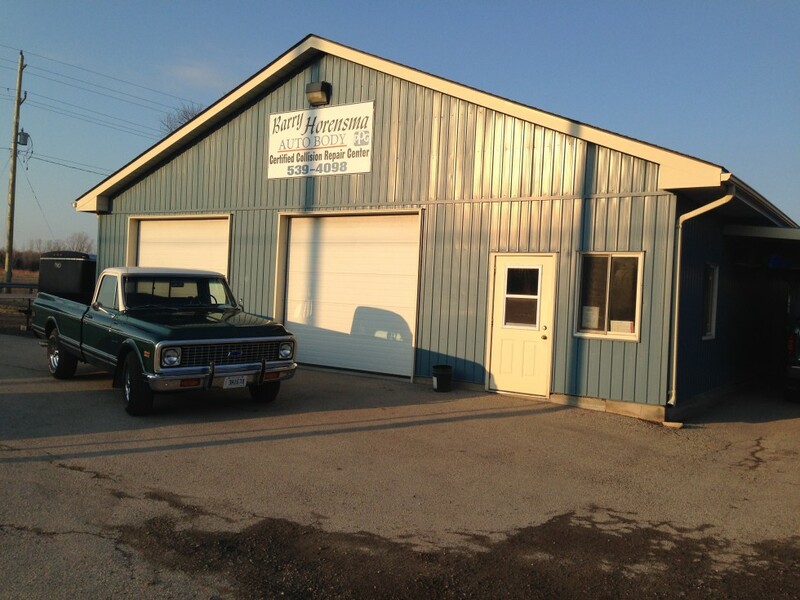 Fully equipped collision repair shop, established in 1961. Located on the main St of Dresden Ontario, 30 minutes away from the nearest competitor. Please email hanksautobody@bellnet.ca for more information. Profitable investment opportunity for those interested in continuing operations at a solid earning auto-body shop established since 1979. Approx. 1/2 acre corner lot with excellent location as the expanding town has slated residential development surrounding the business. On site are solar panels feeding hydro into the local grid and producing approx. $11,000 of income. Included with the business is a well maintained and updated raised bungalow residence featuring a large country kitchen and finished basement with two additional bedrooms. A fenced backyard and large deck compliment the home. Potential future commercial development could include a car dealership or small retail configuration. You are a license body man looking to operate your own shop. Available 4000 sq ft fully equipped body shop available for sale or partnership in Simcoe Ontario . Please call Hermann today for additional information at 905-875-1248. Wanted 7000+ SQ FT Bodyshop in Stoney Creek or Central Mountain area. East Hamilton 4 bay mechanical shop for sale or rent with equipment. Excellent terms.